Preventive and sick care of patients from newborns through geriatric; and common family practice office procedures. Gynecological interests include birth control, menopause and office procedures. Dr. Lu enjoys spending time with her husband and two sons. She loves to play badminton, and enjoys hiking, cooking and singing. Thank you Dr.Lu, For your patients and time to make me feel comfortable with what was going on with me. I appreciate your time and help. Dr.Lu is very matter of fact and I appreciate this. She discusses options and then we choose an option together. Dr. Lu is an outstanding physician and I would highly recommend her to those that inquire. As retired we are now living in Florida but we keep our dr.´s here like Dr. Lu. We are very confident and the high degree of care we experienced. We do are annual exam & other health concern here in VM. Very hard working, friendly and dependable. Concerned may be over booked or extremely busy - did not have time to look over records from surgeon. She was great and made me feel at ease w/her explanations. I´ve been seeing Dr. Lu for a few years now and I like her very much. She´s very professional and caring. Dr. Lu took me on short notice when I was very panicked. Talking with her, and discussing medications has dramatically helped me since. Dr. Lu is an excellent doctor. I have a lot of confidence in her and feel like my care is so important to her. She listens and her manner is gracious and professional. I have given her name to many people. Excellent experience, Dr Lu explained everything thoroughly and professionally. It´s why I keep coming back. Dr Lu is excellent in total care. She is very friendly and knowledgeable. Ever since I started to see her, my problems have been solved one after another. As a true primary care physician, she looped me with a cardiologist, nephrologist and endocrinologist. Between the 4 of them as a care team they are solving my issues. But first hand thanks to Dr. Lu and her proper diagnosis from day 1. Dr. Mei Lu is an excellent doctor. She is professional to point out my potential health problems, and gives proper suggestion. appreciated her quick call back with finalized radiology results. good team to work with. Dr. Lu was great! Very warm, friendly, and knowledgeable. 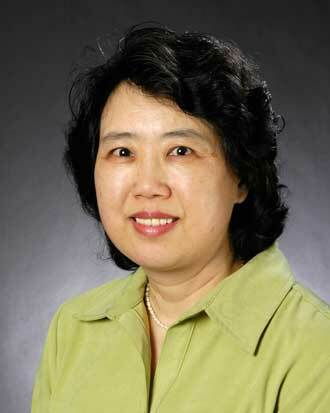 Dr. Mei Lu was a great listener, She was very thorough in her examination and is an excellent doctor. I felt very comfortable and was confident that I would receive the best care possible from Dr. Lu. Dr Lu is really friendly and very very involved with the care options. I totally will recommend her to anyone. One of the best I have seen!